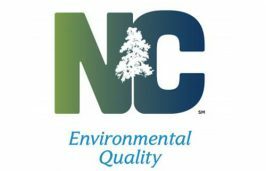 EASTERN NORTH CAROLINA – While North Carolina’s coast is known for its quiet, pristine beaches, there are miles of trails that offer hikers a chance to experience a range of natural habitats from maritime forests, pocosins and marshes to mountainous sand dunes, and even a few historic sites. Raynor explained that trails are one of the best ways to connect people with nature, adding that interpretive trails teach about the unique environments within each state park. Established trails also serve to protect visitor safety by helping hikers avoid hazardous areas and limit the adverse effects visitors can have on the nature preserves. 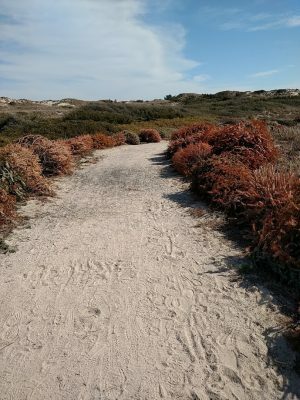 A unique aspect of hiking the coast is that while most of the trails are flat and relatively easy, especially on the trails that are sandy, you can still get a good workout. Plus, you will be able to see vegetation, birds and other animals that are found nowhere else in the state, Raynor added. Raynor said that each of the state parks on the coast have something different to offer. In Carolina Beach State Park in New Hanover County, visitors can learn about carnivorous plants, hike Sugarloaf Dune, a prominent pre-Colonial and pre-Civil War geological feature, and the fitness trail. At Hammocks Beach State Park in Onslow County, hike the undeveloped barrier island, Bear Island. Visitors can also watch dolphins while riding the passenger ferry. Raynor added that the park also offers a number of paddle trails and the chance to rent a canoe or kayak. At Fort Macon State Park in Carteret County, Raynor said that in addition to exploring the rich history of the Fort, hikers can explore the new, 3.3-mile trail through maritime forest and sand dunes. Near Washington in Beaufort County at Goose Creek State Park, there is a boardwalk through a cypress swamp in part of the 8-mile long trail system. In nearby Tyrell and Washington counties is Pettigrew State Park where hikers can trek along the shore of Lake Phelps — and take a detour to enjoy views of the lake from a long fishing pier. 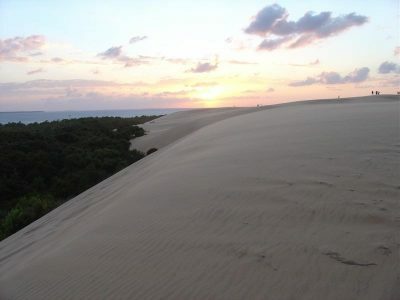 At Jockeys Ridge State Park in Dare County, “you can hike up the tallest living sand dune on the East Coast – just keep a look out for the hang gliders,” she said. Merchants Millpond State Park in Gates County offers 9 miles of hiking trails and many more paddling trails and finally, Raynor said, at Dismal Swamp State Park in Camden County, you can really stretch your legs on 20 miles of trail. Raynor wanted to remind hikers to be careful while using the trails, always carry water and wear the right shoes. “I know that you are at the beach, but please don’t hike in flip-flops. Wear good, supportive walking shoes or hiking boots.” She also suggested that visitors take a picture of the trail map with their phone to avoid being lost. Other suggestions she had for hikers to make the most out of their experience and come home safely was to hike with a friend or let someone know your plans and to check the weather before heading out as storms can develop quickly over the ocean. “Lightning is a real threat,” she said. And, of course, prepare for the inevitable insects. If you don’t want to brave a trail on your own yet, or would like to learn more about a specific park, Raynor said that each of the parks offer interpretive programs throughout the year. “Park staff are the true experts about their parks. Stop in the visitor center and ask them questions,” she said. Boardwalk on Fly Trap Trail at Carolina Beach State Park, south of Wilmington. Carla Edwards, is one of those park rangers who is an expert on her park, Carolina Beach State Park. She said there are 9 miles of trails, which are relatively flat and easy to walk, that wind through a variety of distinct habitats at Carolina Beach State Park. “The trail system snakes through many different habitats making the park a prime place to bird watch. Along the Sugarloaf Trail there are three lime-sink ponds. Not only are these ponds great for spotting water fowl, they are also a great place to hear different frogs call as well as seeing turtles and the occasional alligator. Snakes are sometimes encountered along the trails. But like most animals, give them plenty of room to escape and they are never a problem,” she said. Not only is the park known for its diverse natural habitats, it is also known for its cultural resources, Edwards said. “During the Civil War, much of the land that is now the park was used as an encampment for the Confederate army. There was also an earthwork embankment that stretched from Cape Fear River at Sugarloaf Dune all the way across to the sound side near the ocean. This was a part of the defense of Fort Fisher during that time. Many of these earthen works can still be seen today,” she said. While the park is only about 2 miles from the ocean, walking through the park’s trail system resembles more of an inland pine forest than a coastal habitat, Edwards explained. The park is home to 13 different plant communities, ranging from a brackish river marsh to a coastal fringe evergreen forest with its tall pine and oak trees. The carnivorous plants are location in the Flytrap Trail area, she said, which visitors can see up close during the ranger-led hike along the Flytrap Trail on Saturdays and Sundays in the spring, summer and fall months and on Saturday only from November to February. The park also offers cultural history hikes a few times of year. Fort Macon State Park, like Carolina Beach State Park, offers educational programs on the history of the park as well. Lately though, Fort Macon has been a draw for hikers. Superintendent Randy Newman said that Fort Macon has seen a large surge in hiking at the park since the addition of the 3.3 mile, Elliott Coues Natural Trail. “Staff can go anywhere in the community and everyone is thanking us for the new trail. County residents are saying ‘the trail at Fort Macon is the best thing to happen in Carteret County in years.’ We have some visitors that have fallen in love with the trail and come every day of the week to hike,” he added. Newman explained that Fort Macon was seeing a steady increase over the years of visitors using the road shoulder to walk, hike and bike. In the 1980s, Fort Macon worked with North Carolina Department of Transportation to add a bike lane on both sides of the highway to increase safety, but as the popularity of walking and hiking increased, so did safety concerns for visitors along the park’s winding road. In addition to safety concerns, staff was looking for a way to have more visitors experience nature, especially the younger generation. Creating the nature trail not only increases safety of park visitors, Newman said, but also increase the opportunity to bring awareness of the park’s natural resources and the importance of preserving and protecting natural areas not only for the present generation, but, also for generations to come. He explained that the trail leads visitors through an early growth maritime forest, skirts the parks natural wetlands and returns through pristine sand dunes. 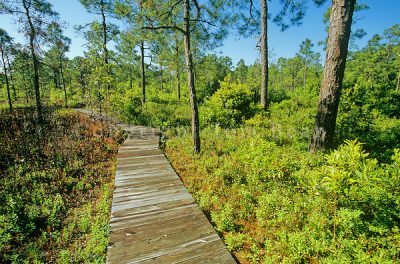 There’s also great hiking through the coast’s Croatan National Forest, headquartered in New Bern. 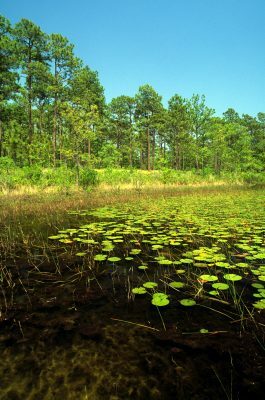 In Carteret, Craven and Jones counties, the forest features 160,000 acres pine forests, saltwater estuaries, bogs and raised swamps called pocosins. It is bordered on three sides by tidal rivers and the Bogue Sound. Jeff Kincaid, a forester and recreation program manager with Croatan National Forest, said that hikers will see many different coastal ecosystems while hiking through Croatan. Made of connecting boardwalks, the Tideland trail at Cedar Point Recreation area offers a unique view of the wetlands and estuaries while the Nuesiok trail stretches from the Neuse River to the Newport River and spans roughly 21 miles, passing through multiple forest types and ecosystems. Hikers can access the Nuesiok trail at Pinecliff Recreation area in Havelock, at Oyster Point in Newport, or at the multiple road crossing. Another trail through part of the Croatan is the Patsy Pond area, which has multiple connecting trails of varying lengths that users can access from one parking area. Access is on N.C. 24 in Newport. “This area is a fine example of a pine savanna. We have very diverse plants and animals on the Croatan. Whitetail deer, black bear, multiple snake species, various other reptile and amphibians and insectivorous plant species. Our area offers great opportunity for bird watchers also. You can expect to see wading, migrating and song birds out on our forest,” Kincaid said. 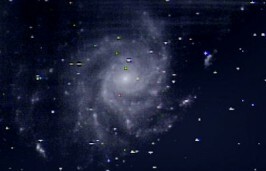 Kincaid explained that pocosins, or “swamps on a hill,” are unique to the area. “We also have a healthy population of the endangered red-cockaded woodpecker on our forest. These woodpeckers need the pine savannas found on our forest for their habitat,” he said. He said that most of the trails are relatively short, around 2 miles for the most part, but, are close to each other, so visitors can hike multiple trails and get a broad overview of the Croatan National Forest in a short time frame. Cape Hatteras National Seashore in Dare and Hyde counties and Cape Lookout National Seashore in Carteret County both offer hiking as well. Cape Hatteras has three designated hiking trails and Cape Lookout has one trail at its Harkers Island Visitor Center.